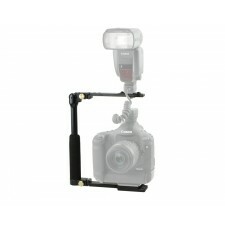 The smaller brother of the CB Digital-T, this bracket boasts the same easy-to-use, spring-loaded flash-flip. 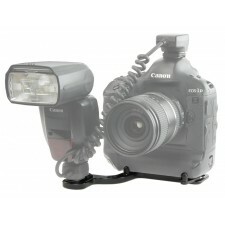 It is built to accommodate smaller cameras, or those without add-on vertical grips / battery packs. 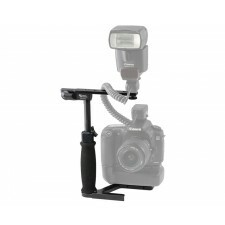 The CB Digital-T is a great bracket for novice and professional photographers. With a right or left-handed grip, this brackets accommodates tall cameras, or those with add-on vertical grips / battery packs. The same fold-up feature as the CB Folding-T makes the CB Folding-S the perfect travel bracket. This bracket boasts an easy-to-use, spring-loaded flash-flip and is built to accommodate smaller cameras, or those without add-on vertical grips / battery packs. 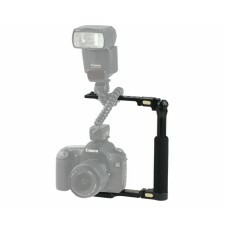 Addition of a fold-up feature to the very popular CB Digital-T makes the CB Folding-T a must-have bracket. Pushing two buttons allows the bracket to be folded and easily stored in any camera bag. 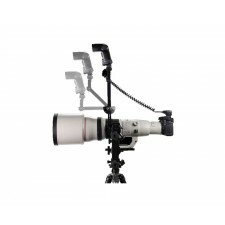 With a grip suited for both right and left-handed photographers, this bracket accommodates tall cameras, or those with add-on vertical grips / battery packs. 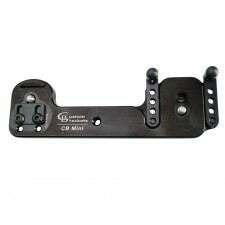 Keeping with Custom Brackets tradition of superior design and manufacturing, the CB Junior is an excellent value. 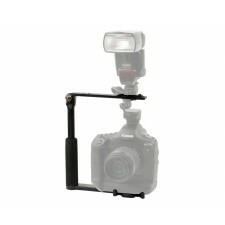 Using a spring-loaded flash-flip, this ultra-light bracket is small on size, but not on functionality. 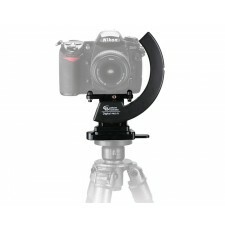 Designed to accommodate any size camera, the CB Junior is the top-selling flash rotating bracket. The CB Mini RC has been completely redesigned. The new design includes a camera anti-twist device (before this, customers had to buy the CBAT separately) and allows complete access to the camera’s battery door. Also, the camera position can be adjusted for a better feel when holding the camera in vertical. 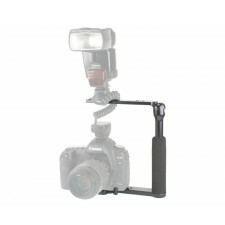 The Digital PRO-M Kit is the ideal choice for use with Digital SLR camera systems. The unique rotation system which rotates around the centre of the lens allows for locking not just at the vertical or horizontal axis but anywhere in between as well. 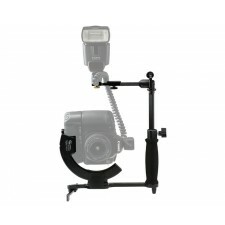 Adjustable flash mount with 6" extension. For all Gimbals or Arca-Swiss style compatible dove-tails.